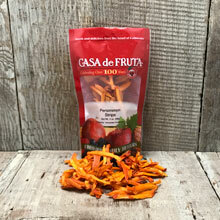 Rich, sweet dehydrated persimmon strips with no added sweeteners or preservatives. Packaged in a 2 oz. bag.